Not every deal is what it seems. Black Friday and Cyber Monday are supposed to be two of the best shopping days of the year. But many prices during this sales onslaught are actually inflated or laced with fine print, so shoppers should be extra vigilant about checking *actual* prices. I asked some experts how to separate the good deals from the bad. Here are a few important tips and tricks for surviving the post-Thanksgiving shopping extravaganza. 1. The best items to buy this Black Friday are the usual suspects: electronics and kitchen appliances. According to Courtney Jespersen, a retail and shopping expert at NerdWallet, the retailers with the best deals are Best Buy, Target, and Walmart, which compete on high-demand items like iPads and PlayStation consoles. 2. Hold off on seasonal items, like winter clothing or holiday decorations, for now. “If you wait even closer to Christmas, you’ll get a better deal. Retailers want to empty their shelves before the holiday comes and goes,” Jespersen advised. Additionally, if you’re willing to take the risk, toys will get huge discounts on Super Saturday, the Saturday before Christmas Day. “There will be a lot of last-minute sales for procrastinators, but shoppers will have to weigh the fact that inventory may be picked over,” according to Jespersen. 3. Look at price history to determine when a deal is actually good. Adam Burakowski, associate deals editor at The Wirecutter, uses a number of online tools to determine whether or not a sale is Wirecutter-worthy. 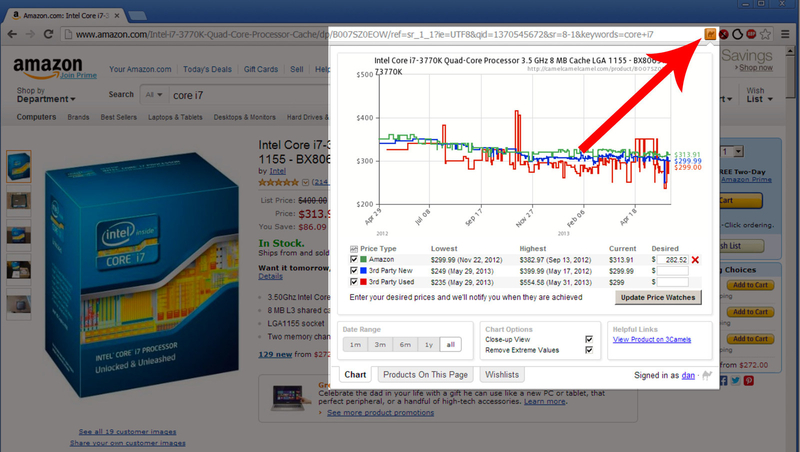 Amazon price tracker Camelcamelcamel is a good place to start. You can also look at Slickdeals to find previous deals and who was offering them (eBay vs. a store). And the Invisible Hand browser extension (for Chrome, Safari, and Firefox) reveals if an item on a site is cheaper elsewhere. Knowing the price history can help you determine if what you’re seeing is the lowest price, which is a good indication of a valid deal. This Black Friday, you’ll find lowest prices for the Sonos Play:1 at Target and Best Buy (now $150, a $50 discount) and UE Boom 2 from Verizon (now $100, a $100 discount), according to The Wirecutter's deals page. “I also look at how often an item goes on sale, how high the discount is, and if it’s an item that people would be willing to take less of a discount on,” Burkowski explained. The key is knowing how frequently an item goes on sale. Apple products, for example, rarely get discounted, so if it’s just $50 off a $500 product, that’s something worth considering. You’ll find all models of the Apple TV for 25% off (32GB for $111, 64GB for $149) at Target’s Black Friday sale, which is the lowest price for the media streamer so far this year. 4. If you’re planning on buying electronics, take a closer look at the product’s release cycle first. “The Black Friday Best Buy price on the iPad Pro [$125 off its regular price, which ranges between $529 and $929] is the lowest we’ve seen to date. But with an Apple product or a new phone, you’re more likely to get a better deal right before the new product comes out,” according to Burakowski. The deals editor specifically mentioned the new Galaxy phones, which typically come out in February. You could save some money on the new Galaxy S7 phone over Black Friday, but if you wait for the S8’s announcement, you may save over a hundred bucks. Before you upgrade your tech, watch out for projected release dates. For Apple laptops and phones, MacRumors has a good buyer’s guide based on previous release dates. Many Android phones are typically announced in February or March during Mobile World Congress, including Samsung’s Galaxy phone line. New Windows computers are often shipped in the spring or early summer. And Google’s Pixel phone line (formerly known as Nexus) and many gaming consoles are unveiled in the fall. 5. Beware of inflated prices that make discounts seem deeper than they actually are. Do your homework. Prices fluctuate frequently, and they tend to swing up right before the holiday sales season. “In the weeks prior to Black Friday, a lot of retailers will raise the selling price to almost MSRP and lower it again at the end of the month,” according to Burakowski. For example, on Target and Amazon, the Nest Cam dropped from its $200 street price to $150 in June. The price is currently back to $199 at Target, which is advertising $50 off the security camera as a part of its Black Friday deal, even though it was $150 for most of the year. 6. And even the retailers that don’t jack up their prices before Black Friday may publish a higher “regular price” in their ads. In her analysis, Jespersen found many discrepancies between the “comp price,” “original price,” or “regular price” of the same item. A 17-foot ladder, sold by Harbor Freight Tools for example, was contrasted to a comp price of $209.99 in 2015. This year’s ad, however, cites $357.99 as the comp price. The Black Friday sale price is $99.99, which is still a good deal, but Harbor Freight Tools listed the ladder for $139.99 in late October, so the discount is not as good as it appears. “Don’t take everything on the ad at face value. See what the regular price is at several different retailers,” Jespersen advised. 7. Many “flash deals” aren’t deals at all. Newegg and Best Buy calls them “Flash Deals,” while Amazon calls them “Lightning Deals.” No matter what name they go by, these very quick sales are essentially the same and can be very deceptive. It’s a common tactic that websites employ to encourage impulse purchases. 8. 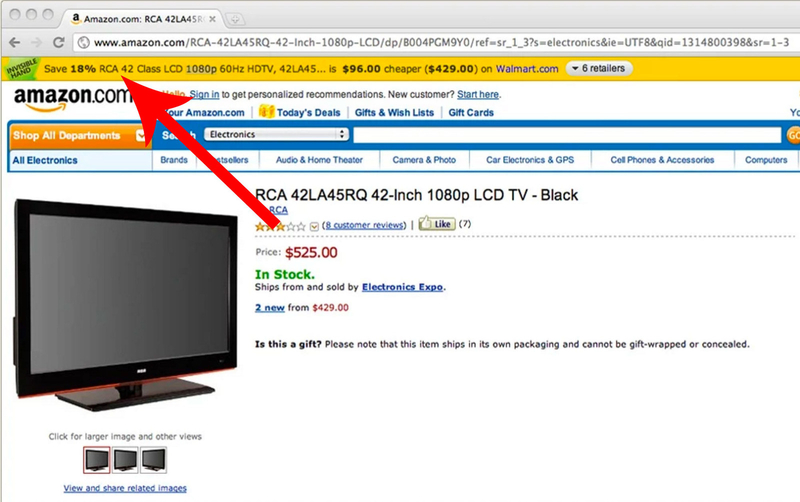 Look closely at the retailer’s Black Friday deals online – the paper ads can be misleading. Sometimes bigger retailers will print sales flyers for entire departments that include a collage of the most popular products (take page 7 of this year’s Black Friday Doorbusters at Macy’s). But often those products don’t have the best deals and are just used to get shoppers’ attention. “Instead of showing one product, they’ll show the entire department – like ‘all home or apparel up to 50% off’ – which sounds great in theory, but if you look deeper, you’ll find the higher figure applies to only a handful of products, and everything else is only discounted by a smaller percent,” explained Jespersen. 9. There might be a complex mail-in rebate scheme hiding in the fine print. If a sale looks a little *too* good, look for tiny text. “Especially in appliances and electronics, you might be getting a big sale price, but you’ll be paying full price at the store and you’ll need to take the time to mail in the rebate,” Jespersen said. The advertised price might reflect the total after a mail-in rebate. You’ll have to navigate a dizzying amount of paperwork for what may be just a small sum of money. Take a look at these Macy’s and Walmart forms. You’ll need to cut out the barcode from the packaging, copy the original receipt, include the copy, print out the rebate form, fill it out, and mail all the paperwork within 30 days of the purchase. Some customers decide that the money saved isn’t worth the hassle at all. Make sure you’re up to the task before buying. 10. Don’t buy junk just because it’s on sale! Save money by buying only what you actually need. And when you find out what that is, get the SKU number. Sometimes products can have very similar names, but they’re not the same. “It’s important to get the exact name and model number. This often happens with stand mixers, for example, that there is a model of the same name with a motor that’s not as powerful,” Burakowski said. Black Friday can be an easy way to spend money you don’t have. Do a quick Google search to see a quick overview of that product’s price history and figure out what price you are comfortable buying it at. The bottom line is: Make a list of things you genuinely need, read reviews for different products, and look up sales for the specific products you want.